Dimensions: 20 inches wide, 20 inches deep, 18 inches high. 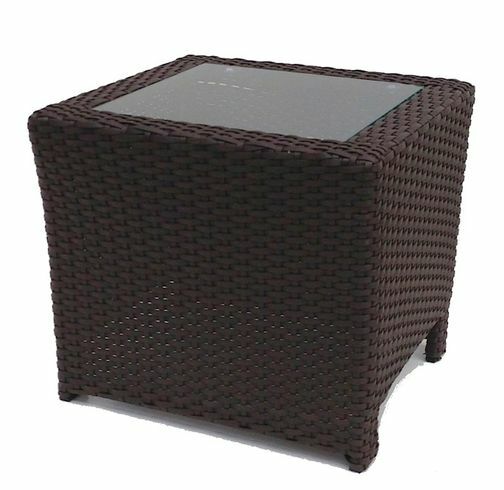 Highlighted by space saving dimensions and practical style, the outdoor wicker inset end table is a popular choice when putting the final touches of your outdoor wicker patio furniture setup together. Square shape table and includes inset glass for open view around most of the top of the table looking down. 20 inches wide, 20 inches deep, 18 inches high.